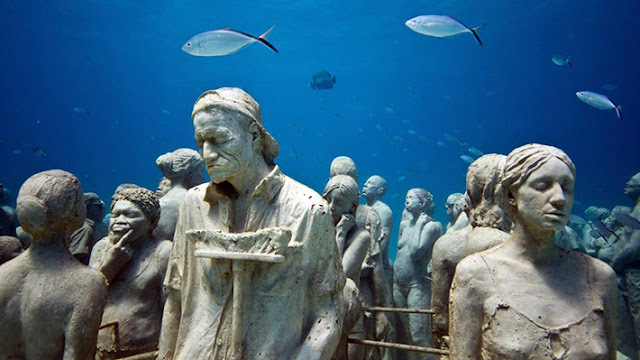 Located off the coast of Isla Mujeres in Mexico’s Riviera Maya lies what is probably the most famous underwater museum in the world, the Cancun Underwater Museum. 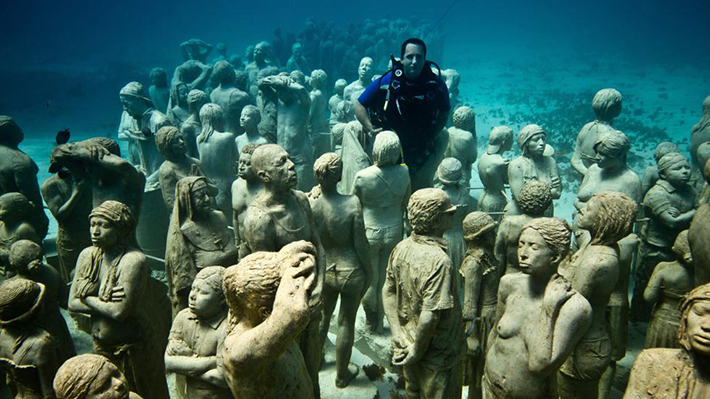 The underwater museum features over 500 original, life-sized sculptures by Jason deCaires Taylor. 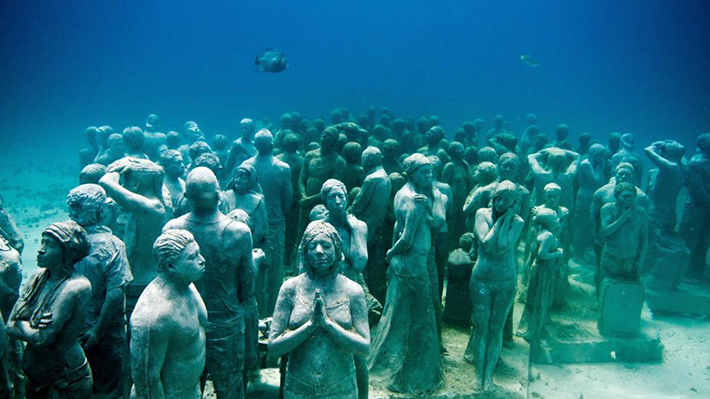 The sculptures are fixed to the seabed and are made from specialized materials used to promote coral life. It may be hard to imagine a single place where diving and hiking collides, but that is exactly what the Grüner See in Styria, Austria has to offer. Resting at the edge of the Hochschwab mountains, Grüner See or Green Lake is an area used mainly by hikers. 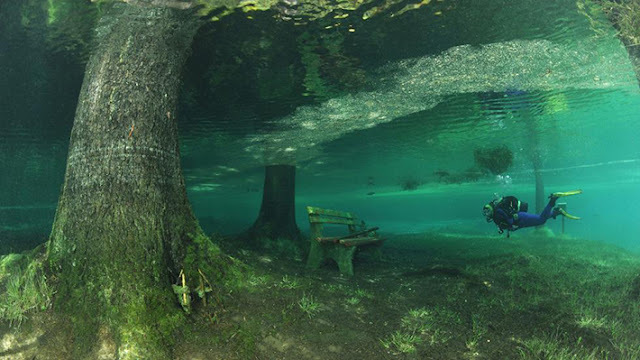 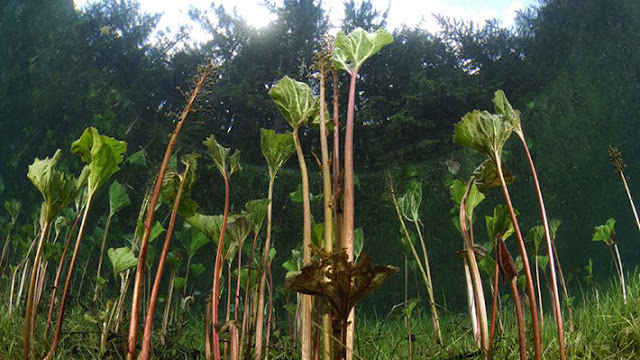 But in the spring and summer, when the snow melts and trickles down the mountain, the water rises as much as 30 feet, submerging the park benches, trees, grassy paths, and even a wooden bridge. 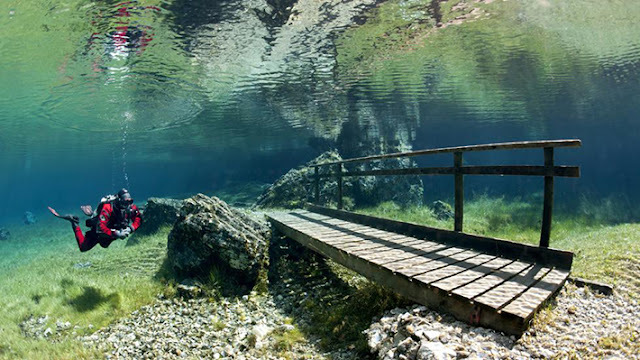 During which time it becomes a surreal landscape for divers to explore. 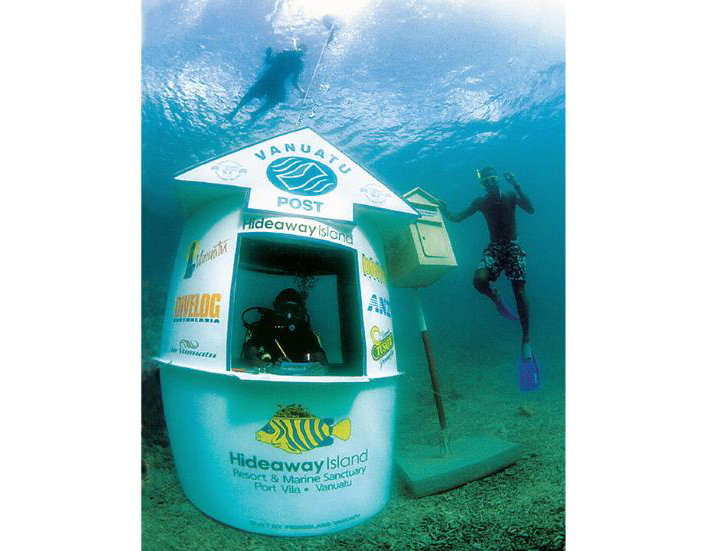 Located within the Hideaway Island Marine Sanctuary, Vanuatu’s underwater post office is the only one of its kind in the world. 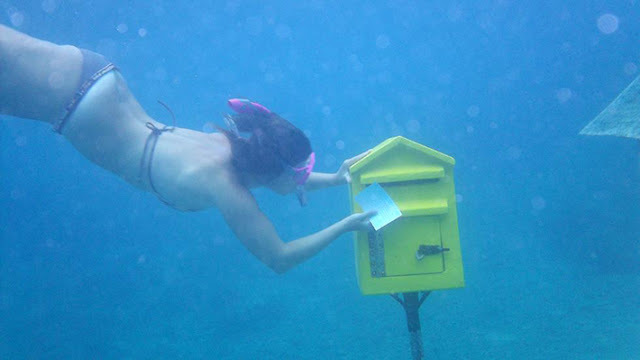 The post office sits in around nine feet of water, where both divers and snorkelers are able to mail special “waterproof postcards”—international and domestic mail accepted. 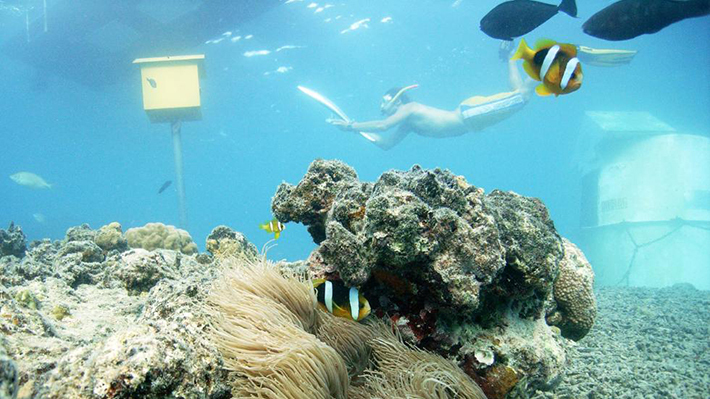 Instead of stamped, the postcards are embossed with a specially-designed device. 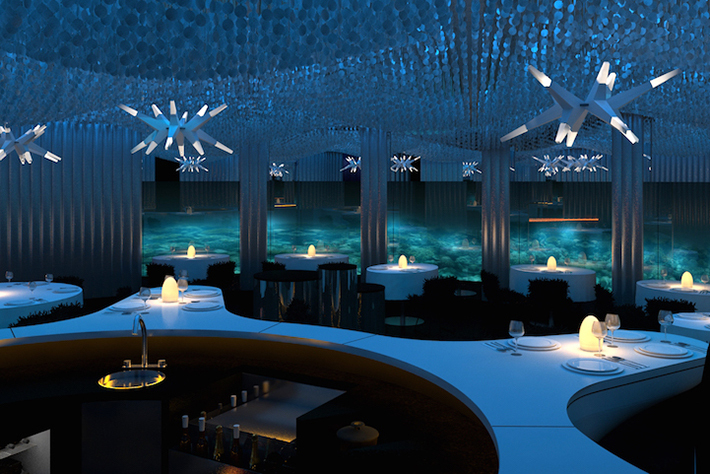 Dine next to ocean life at the Subsix Underwater Restaurant (in the PER AQUUM Niyama resort) in Maldives. 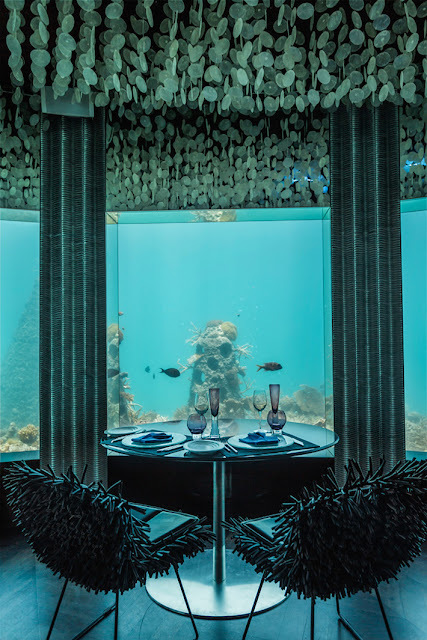 Guests will be taken to the restaurant on a speed boat 1,640 feet out into the ocean where they will be led down below sea level via a grand staircase. 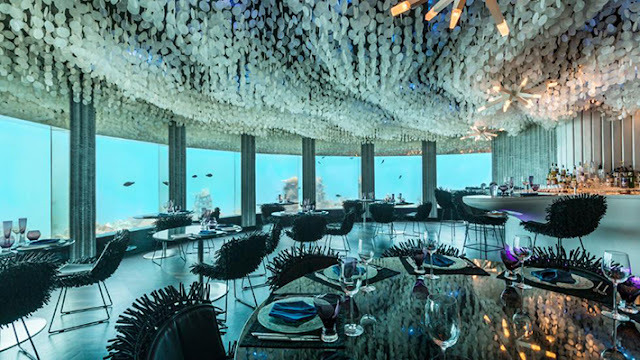 Set against the stunning landscape of the Indian Ocean, this is definitely one of the most unique places to have dinner. 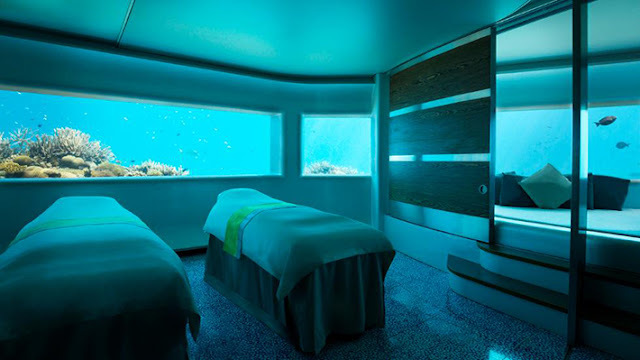 The Lime Underwater Spa at the PER AQUUM Huvafen Fushi resort in the Maldives is the world’s first underwater spa treatment space. 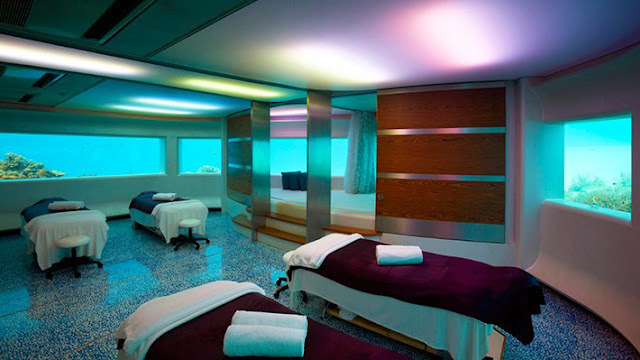 The spa offeers guests relaxing massages and treatments with stunning views of exotic marine life. 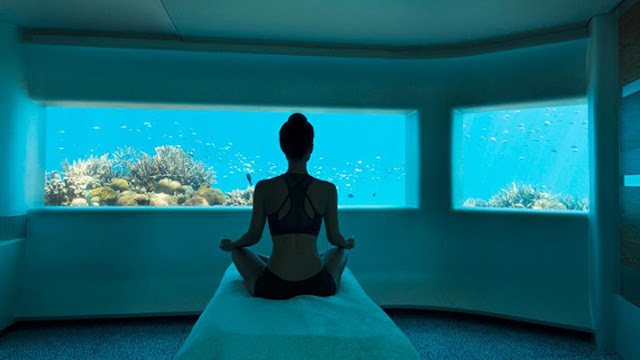 Their signature offering is the Lime Light Ritual, where guests are pampered with a coconut-, lime- and mineral-based treatment, followed by a massage and stay at a relaxation pod. 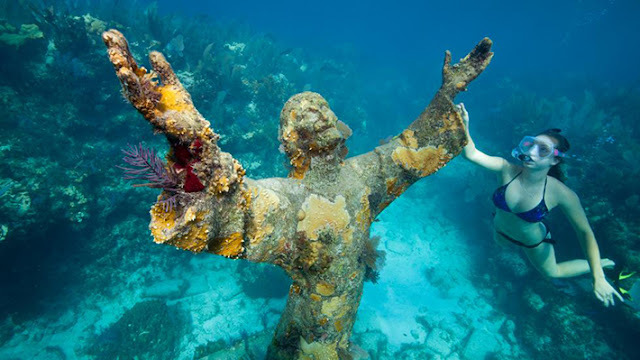 Beneath the ocean at Key Largo Dry Rocks off John Pennekamp Coral Reef State Park rests the 9ft-tall bronze statue Christ of the Abyss. 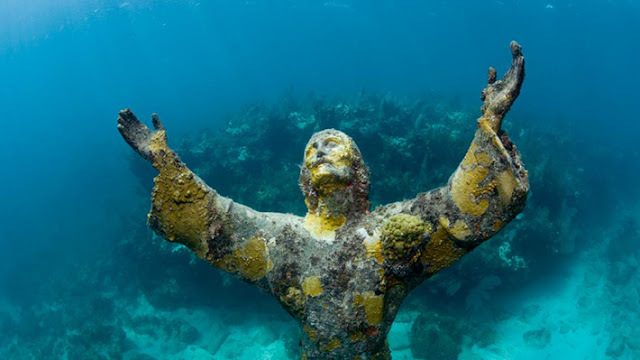 At a depth of approximately 25 feet, the statue , which is also called Christ of the Deep, is one of, if not Florida’s most famous underwater attraction. 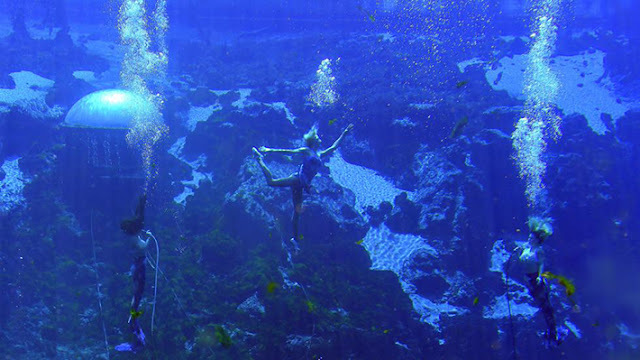 Another underwater spectacle to see in Florida is the Weeki Wachee Springs State Park’s mermaid shows. 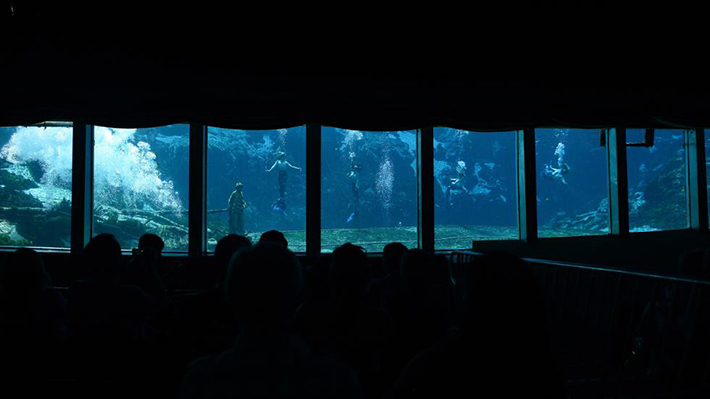 The show highlights dancing “mermaids” performing (with the aid of air hoses) acrobatics and other underwater feats to the delight of guests watching from a 400-seat submerged theater. 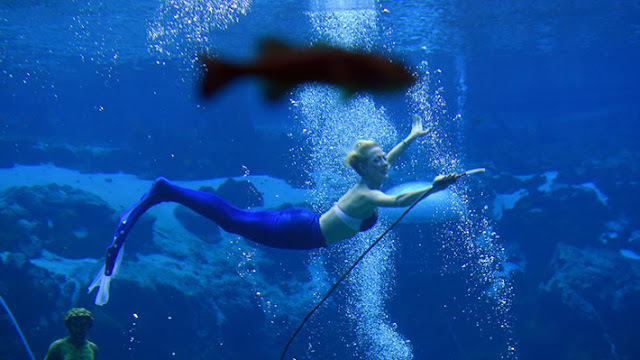 The mermaid shows have been a popular tourist attraction for more than 60 years, since it was opened by former US Navy frogman Newton Perry as a roadside attraction in 1947. Curacao is home to many breathtaking dive spots, but perhaps this Dutch Caribbean island’s most unique offering is the one located Vaersenbaai. 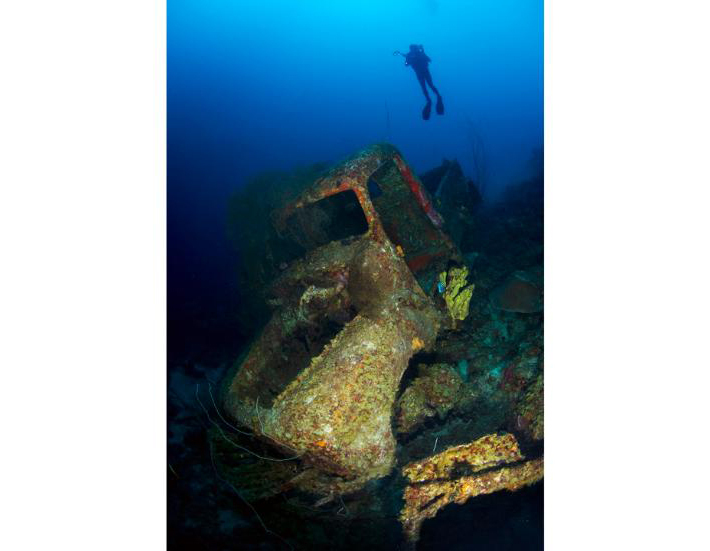 The dive spot features underwater car wrecks and trucks at depth of 60-125 feet. 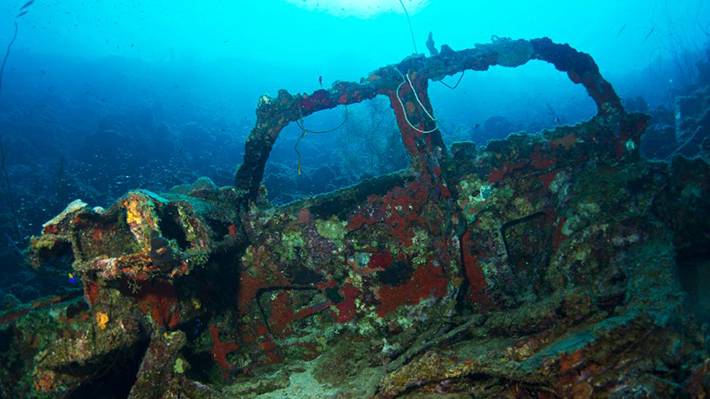 There rests classic cars from the 1940s and 50s—and cranes and construction equipment. 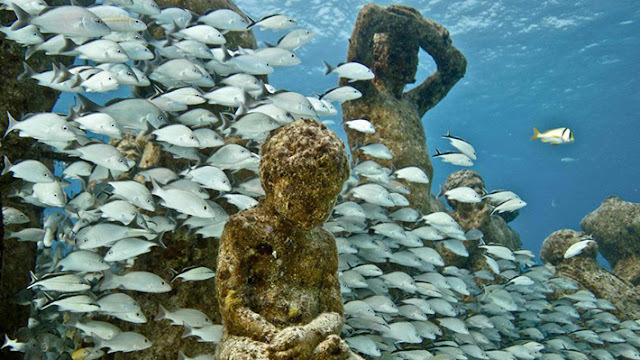 The “car pile” began as an artificial reef-building project. The Shanghai Ocean Aquarium in China is one of the largest aquariums in Asia. And at 509 feet, it also houses the longest underwater tunnel in the world. 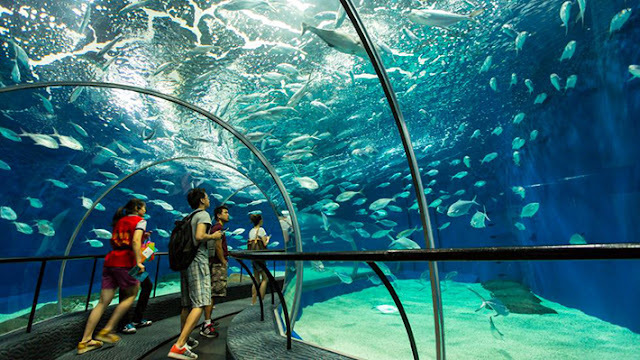 The tunnel takes visitors through a coastal reef, a kelp cave, and shark cove. 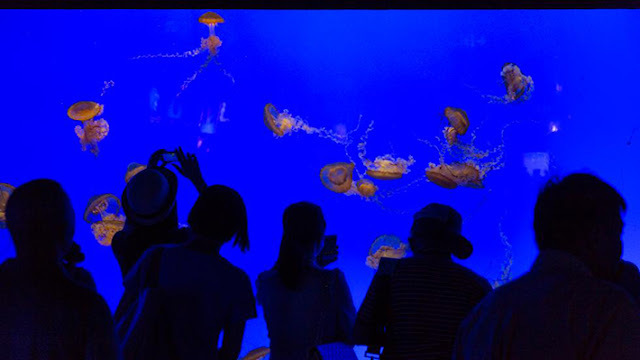 It houses 28 exhibit areas for more than 10,000 sea creatures. 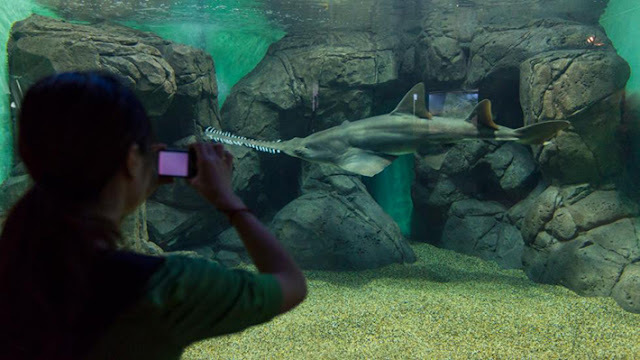 Visitors can also make special arrangements to dive in the aquarium’s shark tank.